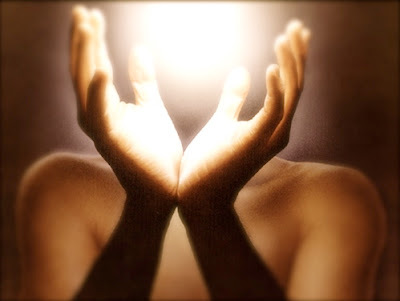 I've empowered my middle son to Reiki 1, my youngest wasnt yet however I believe that he does work with the energy... (after all it is deep within us anyway...our connection to the Source) and I have empowered/attuned my mother to Reiki 1. That empowerment was a distant one....I am a believer in distant attunements...I find they work just like in person ones... after all Universal Spiritual Energy is infinite and all pervasive.... so it knows no time and space limitations. its the intent and of course commitment of both parties. The "sensations" I've felt were very similar in both cases...as I have received distant and in person attunements for all three levels. I've studied reiki with 5 different people -- 4 in person and 1 distant. an independent Reiki Master in Diane Steins tradition, in my lineage. Prior to that my only experience had been from reading Diane Steins' book....(during which I had a spontaneous ReiKi experience) If ReiKi truly is Universal or Primal Spiritual Energy than it is possible to have spontaneous Reiki experience... spontaneous reconnections to the Source of Life and healing...cause that connections is always there if only we would tune into it. Its all very simple. After reading Diane Steins' book Essential Reiki I was moved to repeat outloud that I accept healing from the Source of Life...and within several seconds I felt a surge of light energy come in thru my Left hand all the way down that side of my body....after that the pain I had been experiencing...that was growing worse and worse each day in my left leg especially and vein heaviness in both legs have NEVER come back. After all Usui-sensei's experience was a spontaneous one without the intervention of another human being. I think after a while become once again disconnected from Truth and Source. I am in no way belittling the need for a "teacher" or even the "teacher-student" dynamic. However, I do believe that our finite minds at work tend to gear towards the conditioned state and continues to want to be imprisoned in Maya and separation... that we are indeed separated from the Source, that it is not within us and that we must have someone external set us straight. At the same time I believe that my physical connection to you is important I also believe that I have my own connection....does that make any sense? I need you just as much as I don't need you....because we are ONE.....However, in this state of apparent separation we do need that connection to be manifested in the physical. Existing in state of duality in this earth plane....it is and it is not.